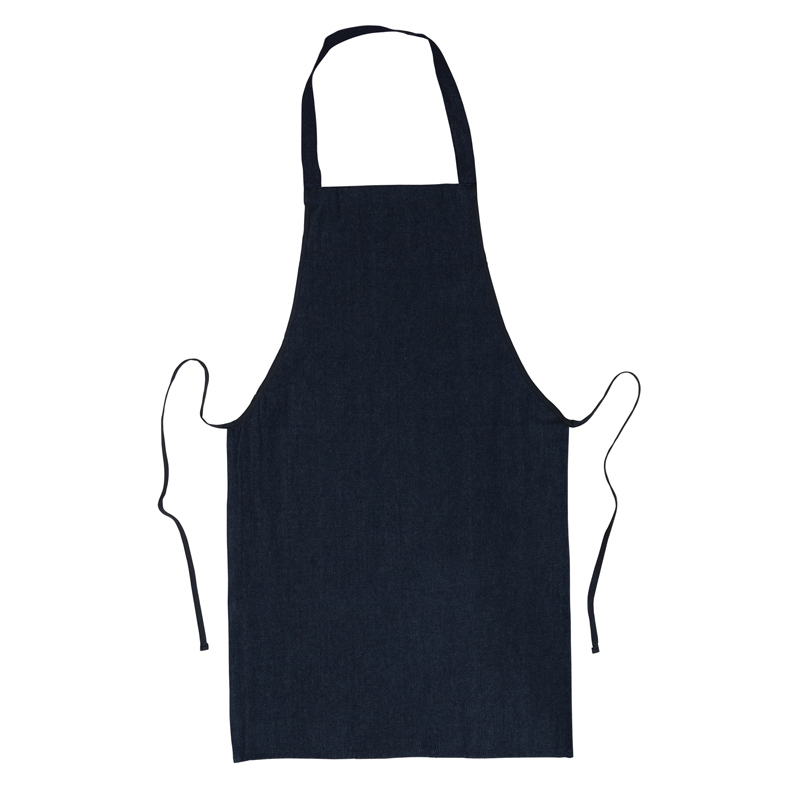 This sleeveless denim adult smock measures 30" x 21", and comes with tie straps. Washable. Sold as a pack of 2 aprons. 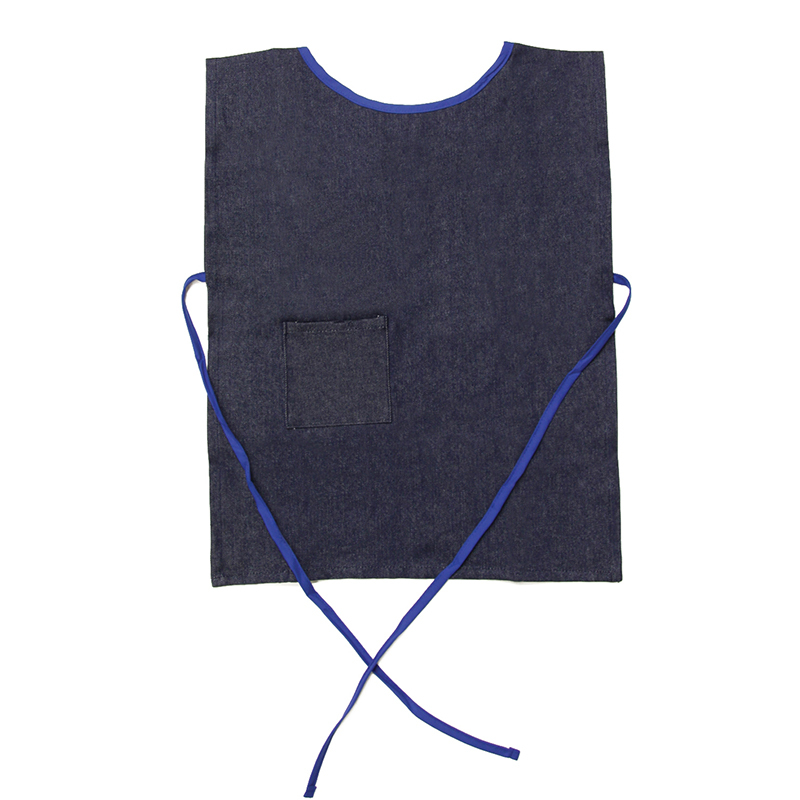 The Dark Blue Denim Children's Smock measures 19.5" x 17" and has one pocket. Washable. Sold as a pack of 2 smocks. 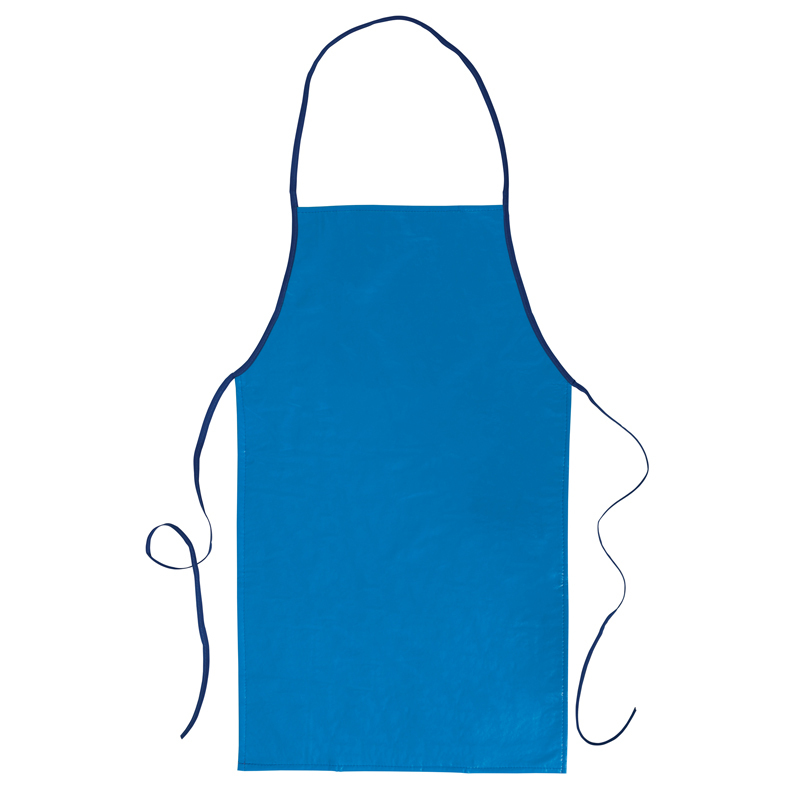 This adult size Light Blue Vinyl Art Apron measures 17" x 29", and comes with Dark Blue tie straps. 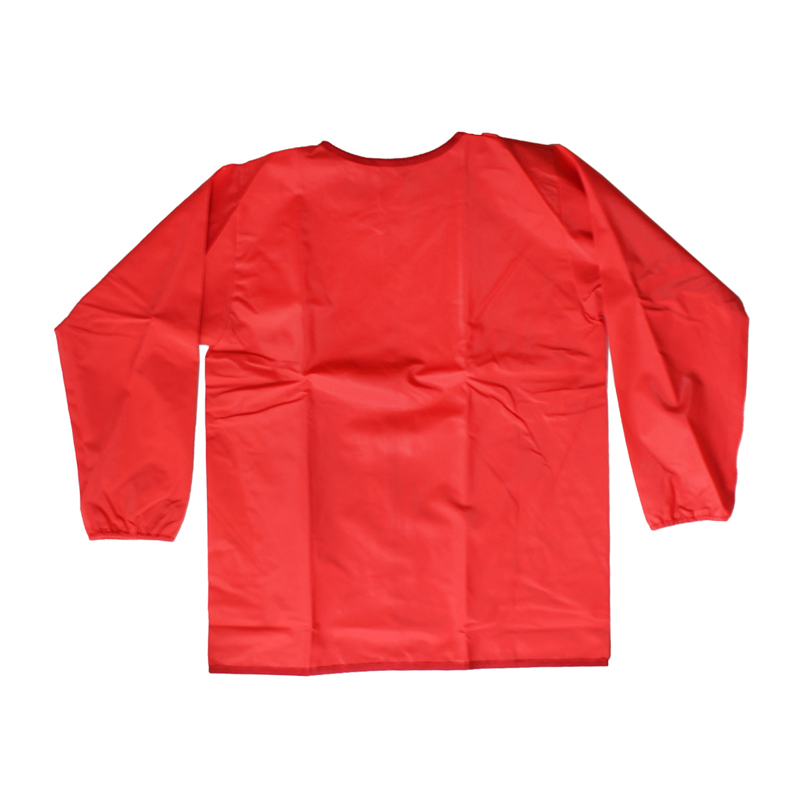 This smock is easy to clean and offers waterproof protection for messy media. Sold as a pack of 3 smocks. Long sleeve smock with a hook and loop closure on the back. Smock size is 21" x 16.5". This smock is easy to clean, and offers waterproof protection against messy media. Sold as a pack of 3 smocks. 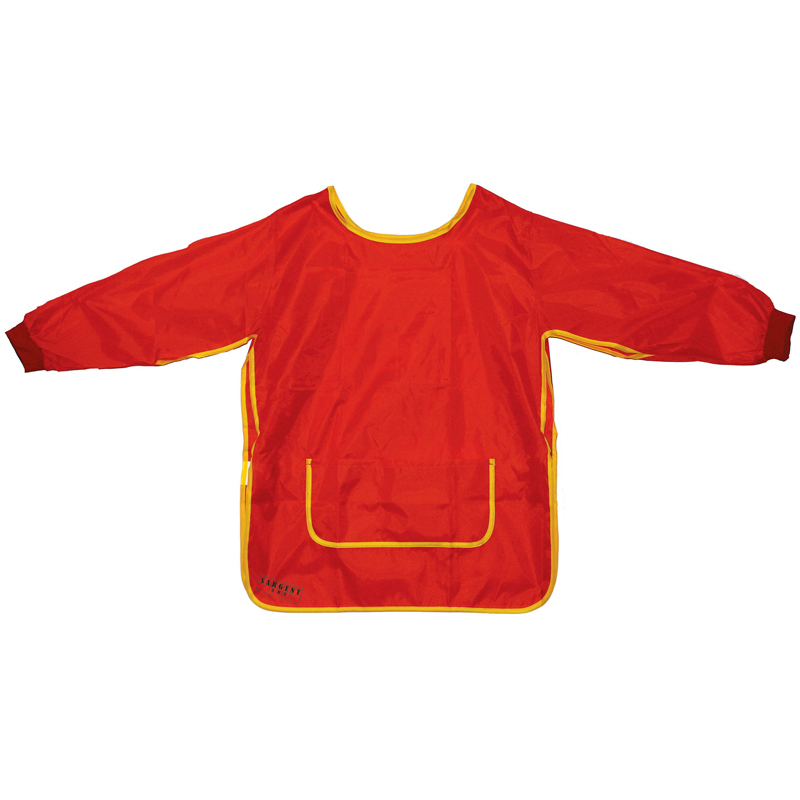 This Red art smock is 22" x 16" with adjustable hook and loop straps. It is durable and easy to clean, and offers waterproof protection for messy media. 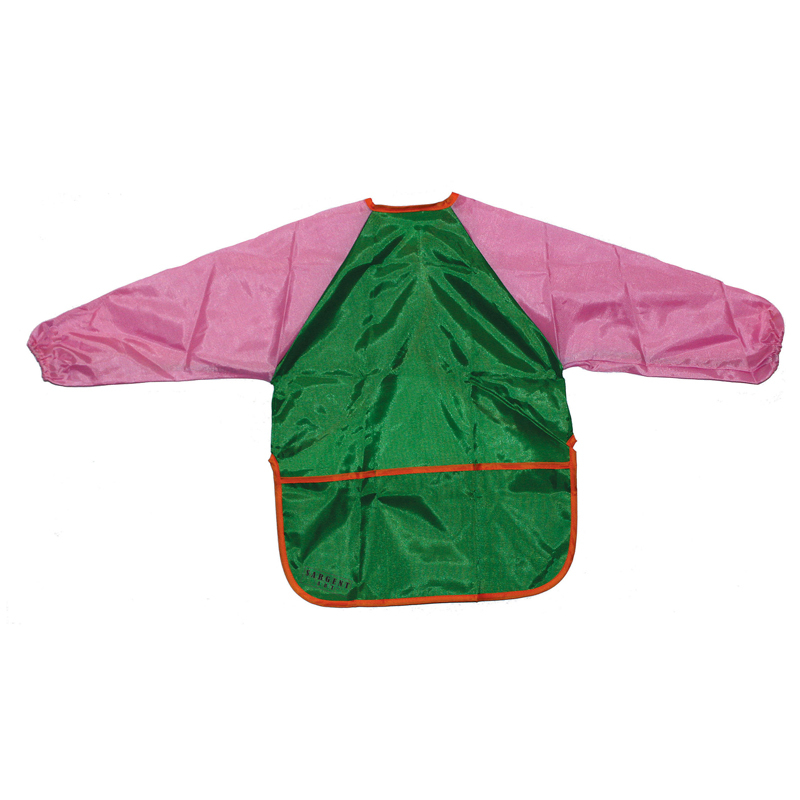 Pack of 3 smocks. Our easy clean soft 6 mil non-toxic fire-retardant vinyl smocks have hook and loop fastener closures. Long sleeves provide extra cover up during messy play. Wide, deep pocket for easy storage of essentials. Sold as a pack of 3 smocks. 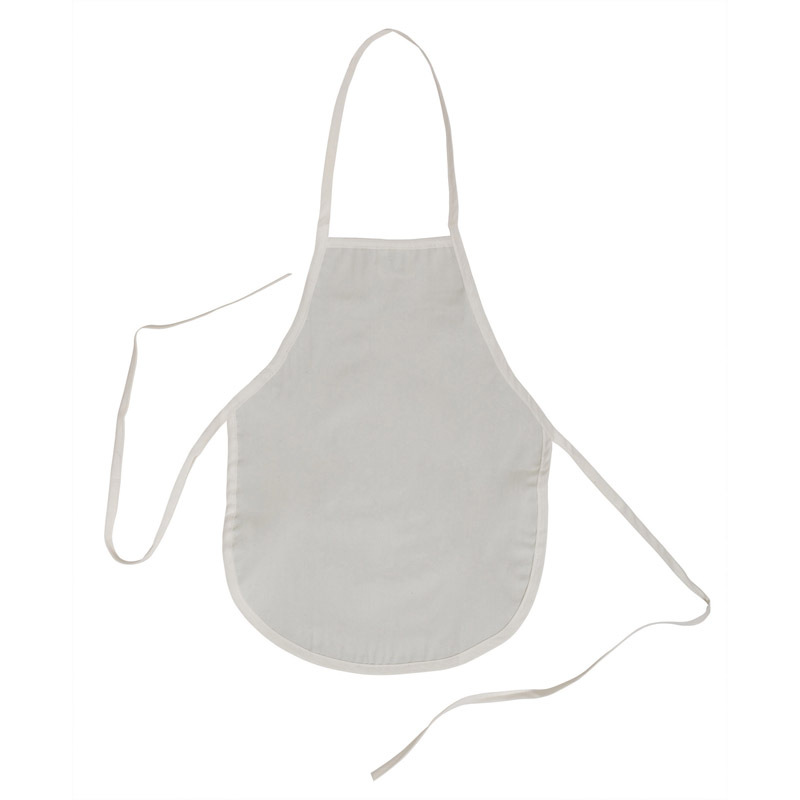 This white sleeveless cotton art smock measures 14" x 18" and comes with tie straps. Smock is washable. Sold as a pack of 4 smocks. 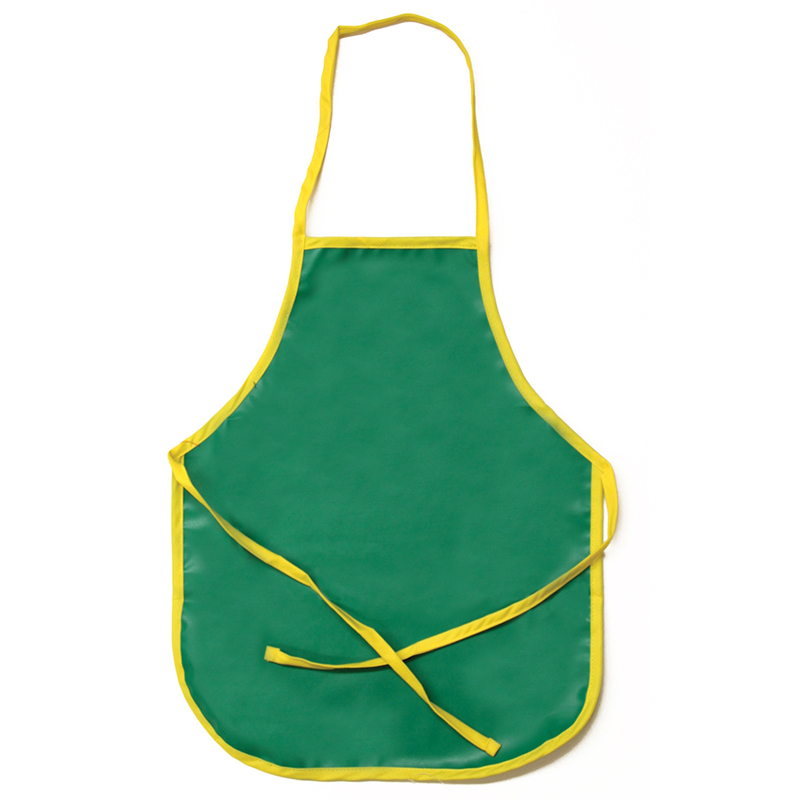 This Blue Primary Art Apron measures 15" x 18" with yellow tie straps. For ages 3 and up. Sold as 4 aprons. 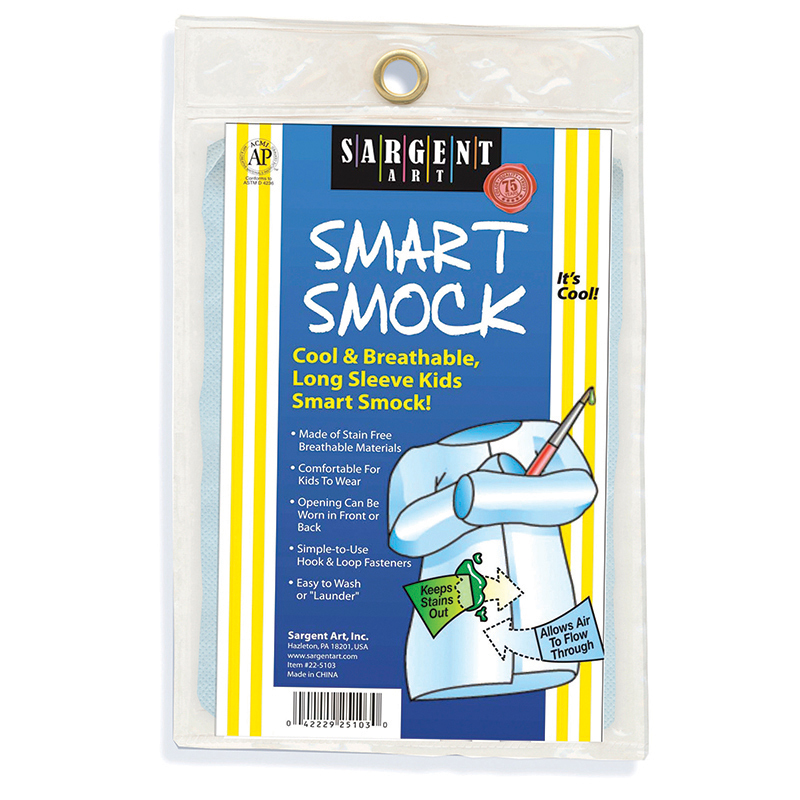 Sargent Art Medium Children's Smock makes painting fun with less mess! Bright and comfortable material, with full front and full sleeves keep kids clean. Made of polyester, and measures 55cm long x 43cm wide. Fits most 4-8 year olds. Sold as a pack of 6 smocks. Sargent Art Small Children's Smock makes painting fun with less mess! Bright and comfortable material, with full front and full sleeves keep kids clean. Made of polyester, and measures 45cm long x 35cm wide. Fits most 1-3 year olds. 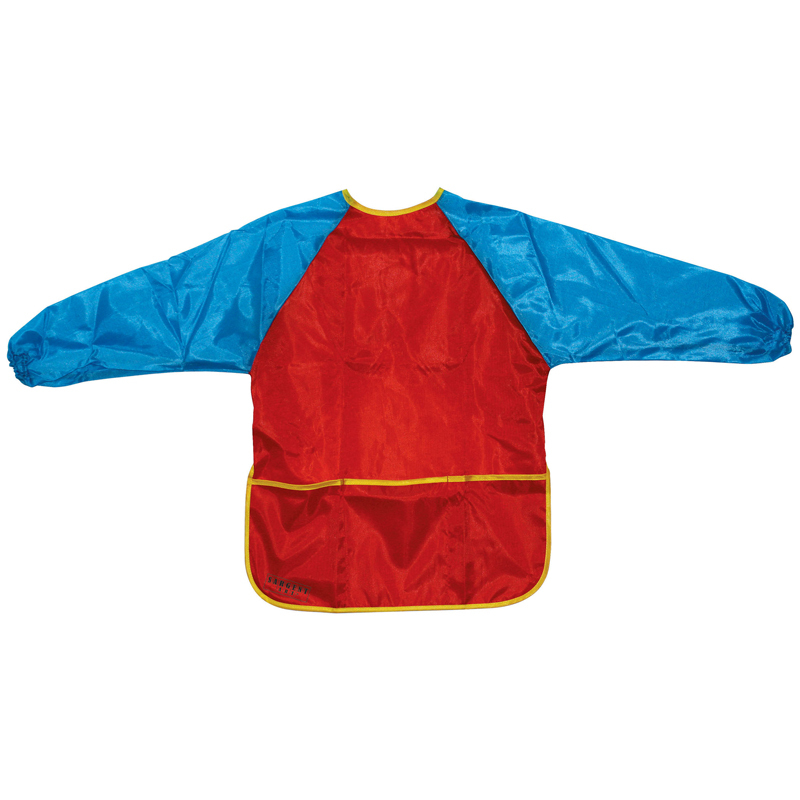 Sold as a pack of 6 smocks. No artist is complete without a decorative smock! 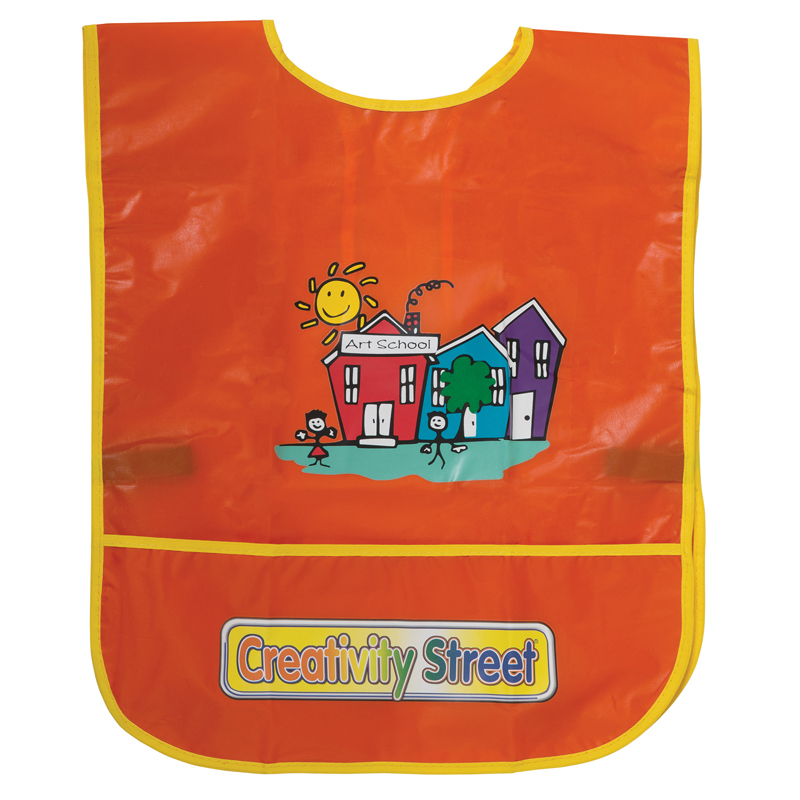 This Creativity Street smock features bright colors and a storage pocket for art supplies. One size fits kids 3 to 8 years old. This smock is easy to clean, and offers waterproof protection for messy media. Bundle includes 6 smocks. 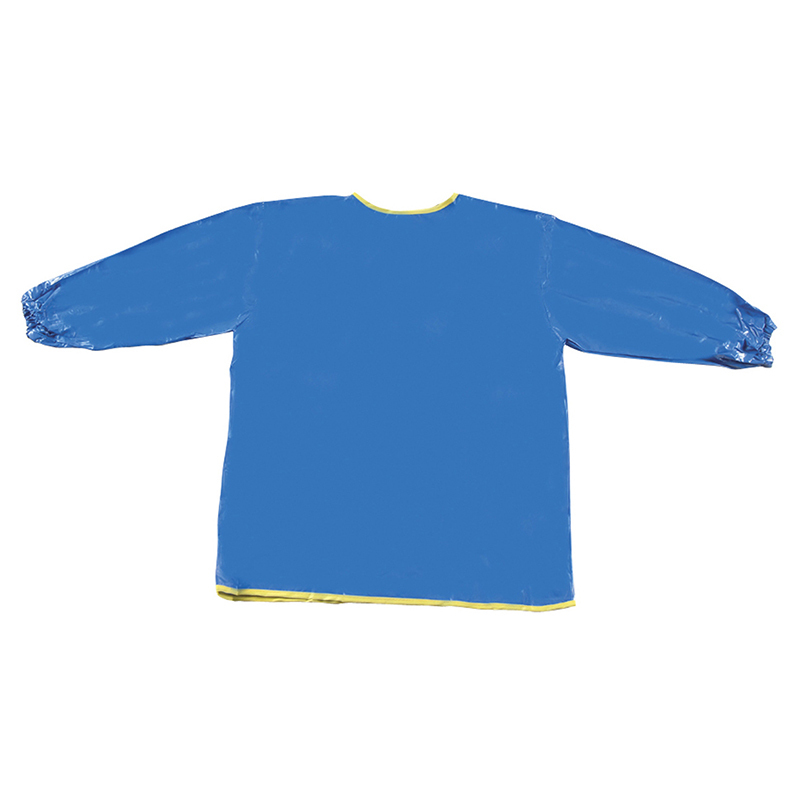 Long sleeve smock help protect clothes during messy art projects. They are durable, easy to clean and easy to put on with hook and loop closures on the back. 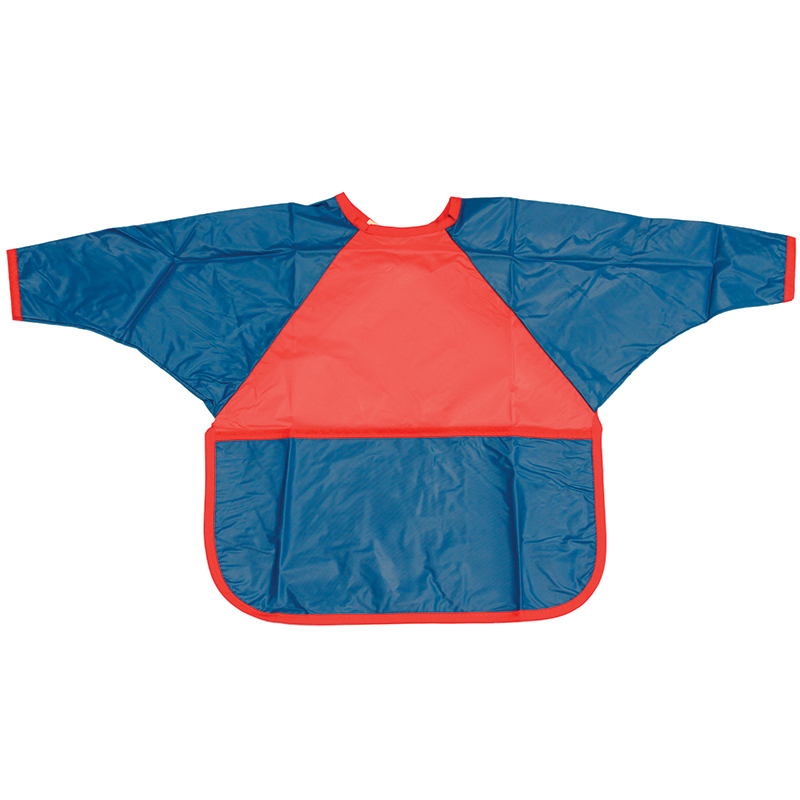 Designed for ages 3 and up, each blue smock measures 22" x 18". Bundle includes 6 smocks. 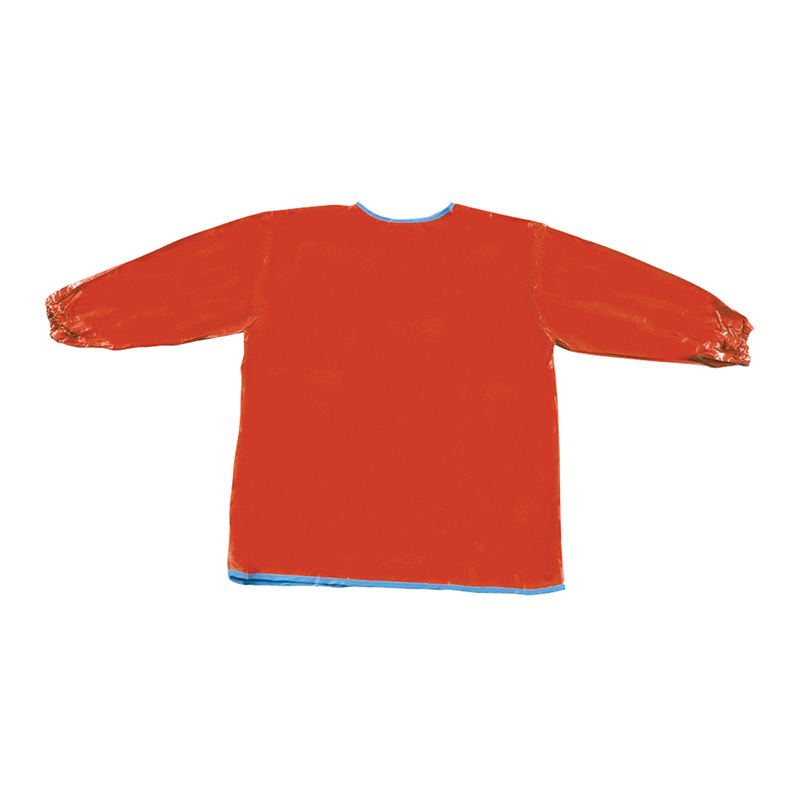 Long sleeve smock help protect clothes during messy art projects. They are durable, easy to clean and easy to put on with hook and loop closures on the back. 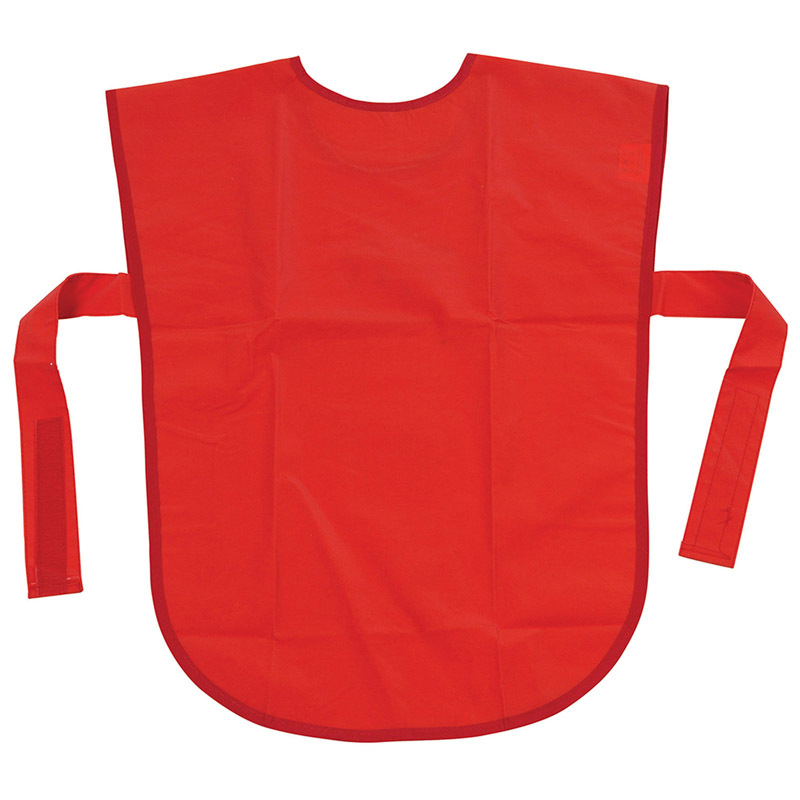 Designed for ages 3 and up, this red smock measures 22" x 18". Bundle includes 6 smocks. Perfect for teachers or adults to use during painting or crafting activities. Double tie straps in the back. Each apron measures 17" x 29". 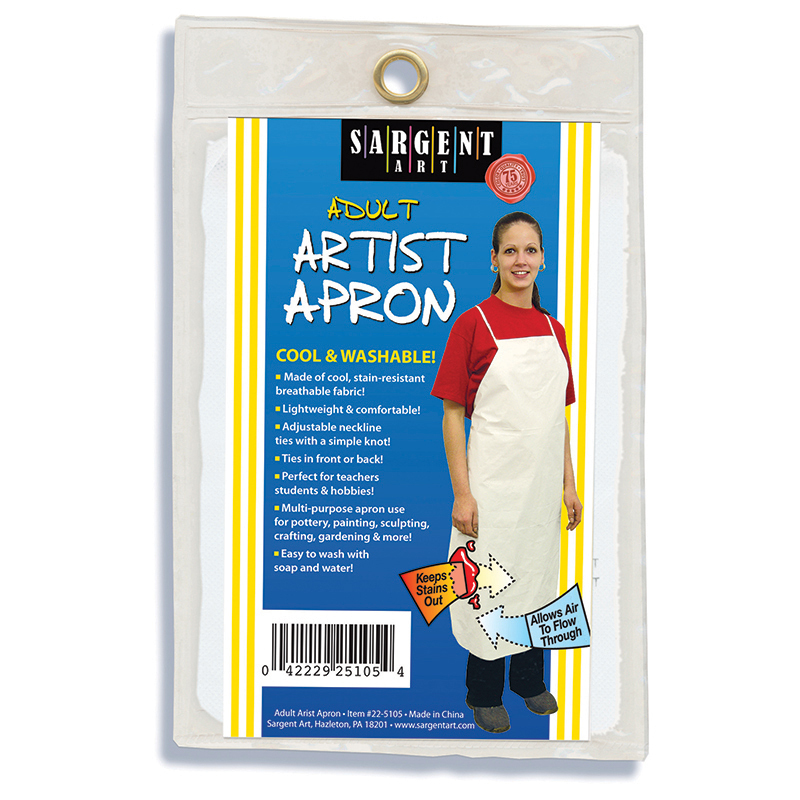 Sargent Art Large Children's Smock makes painting fun with less mess! Bright and comfortable material, with full front and back, and full sleeves keep kids clean. Features elastic velcro closure on sides. Made of waterproof polyester, and measures 55cm long x 47cm wide. Fits most 9-13 year olds. Sargent Art Medium Children's Smock makes painting fun with less mess! Bright and comfortable material, with full front and full sleeves keep kids clean. Made of polyester, and measures 55cm long x 43cm wide. Fits most 4-8 year olds. This thing is so cool! The kids have really gotten into watching it. I bought two, composted the same stuff in each, but put worms in each cell of the second one. It really showed how the worms help speed up the composting process. It does NOT say it is intended for worms, but with a little care, mine have been doing just fine. I did put a brown paper bag over the one with the worms as they like the dark and then positioned my compost in front of the little circle spots so now the kids just lift the bag and there are always worms to view helping to compost away. 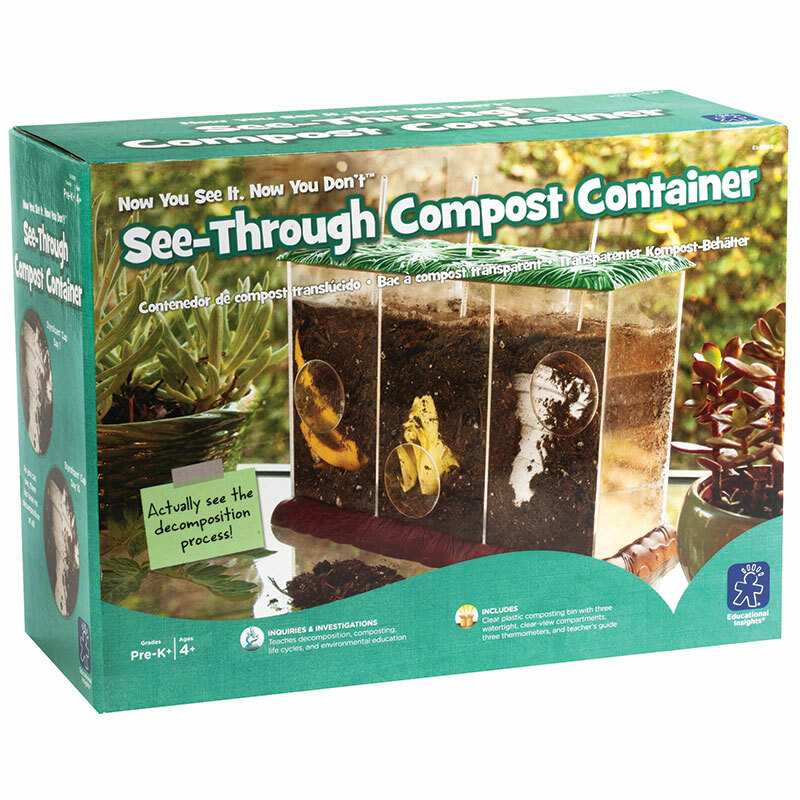 My one suggestion, and why I only gave it 4 stars, is that it comes in 3 pieces, the brown bottom, the clear hard plastic container for composting, and the green top. They are well made, but NOT attached. Good for the top, bad for the bottom, because if you go to lift it, it lifts out of the brown base. This is fine if you never move it, but at my school it does get moved a lot. Maybe I should cement them together. Anyway, great product, great price, be patient and have fun with it!